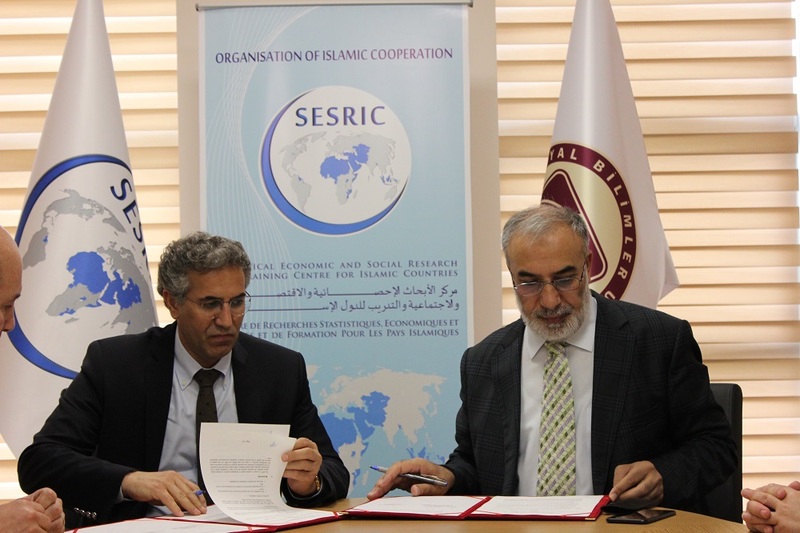 The Statistical, Economic and Social Research and Training Centre for Islamic Countries (SESRIC) and the Social Sciences University of Ankara (ASBÜ) signed a Memorandum of Understanding (MoU) to provide coordination services of the Journal of Economic Cooperation and Development (JECD) on 9 June 2017 at the headquarters of SESRIC. The purpose of this MoU is to clearly identify the roles and responsibilities of each party as they relate to the overall management, monitoring and coordination of the Journal of Economic Cooperation and Development (JECD) as well to foster a stronger background to improve the Journal’s status and make it widely known and more accessible to the OIC Member Countries’ academic arena. The MoU was signed by H.E. Amb. 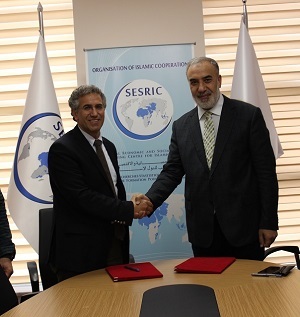 Musa Kulaklıkaya, Director General of SESRIC, and Prof. Dr. Mehmet Barca, Rector of ASBÜ, who both talked explicitly about the mutual goal to promote the JECD both within the Islamic world and among the Member Countries . In his word, H.E. Amb. Musa Kulaklıkaya, Director General of SESRIC noted that Economic, statistical and social academic research is a key burning issue in the OIC Member Countries and through the commitments of the two institutions, they would be successfully able to work together to improve the quality of the Journal, increase its readability and enhance its international value. Prof. Dr. Mehmet Barca, Rector of ASBÜ pointed out that the commitment needs to be turned into an action to promote the Journal and make it achieve its well-known and expected value in Islamic countries and worldwide. He also added that with the assistance of their qualified academicians, they would be ready to provide all kinds of efforts and services to promote the ranking of the Journal in the field of economics, statistics and social studies. The MoU would facilitate cooperation between the two institutions to further increase the quantity, quality and scope of the JECD. It will correspondingly enable the two institutions to develop and implement more comprehensive projects and symposiums in coherence with the needs to encourage young researchers and academicians of the OIC Member Countries. 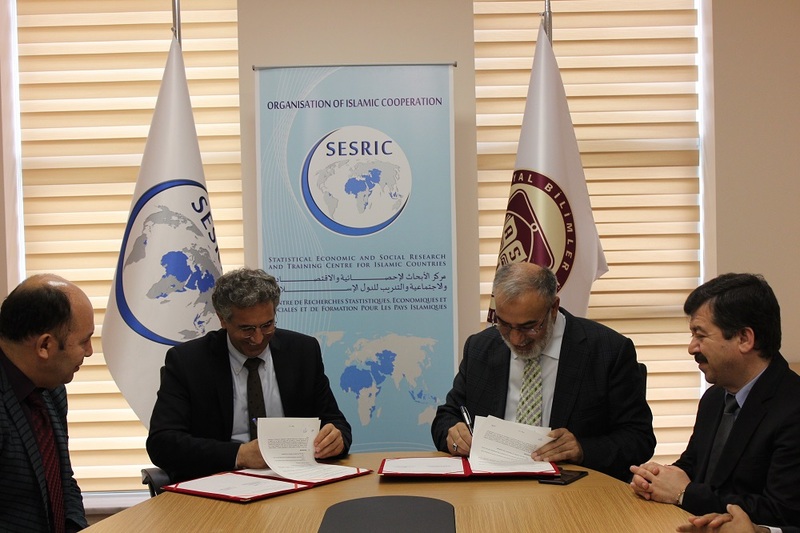 In the operationalization of the MoU, both SESRIC and ASBÜ will ensure that the coordination activities are conducted in compliance with all applicable Journal laws, rules, and regulations including policies compatible with international review and journal ethics.